Built in 1885 as a stagecoach stop and roadhouse, this landmark saloon eventually became a neighborhood gathering place, even operating as a speakeasy during Prohibition. The pub was owned by the same family from 1919 until Mike Romans purchased it in 1978. As the area and times changed, the old pub had to adapt as well. In 1996 the decision was made to start serving specialty beers and to educate the populace's palates along with their attitude toward the enjoyment of finely crafted products. 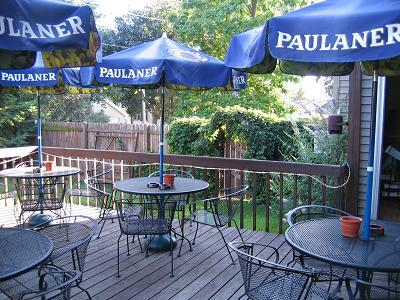 Cigars were added to compliment the brews along with a lovely beer garden. Romans' Pub now offers thirty constantly rotating draft selections including a British-style beer engine. New Glycol-cooled lines working with a custom gas blender were installed in 2006 creating a state of the art delivery system from keg to glass. One can see and taste the difference of these painstaking efforts in each of the properly served selections. Romans' Pub also offers a fine selection of liquor and wine as well as a fifty inch plasma television to enjoy sporting events. 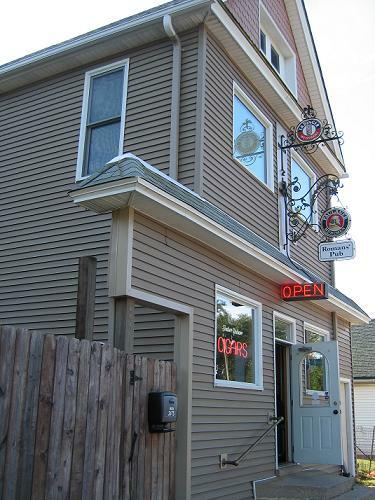 Pull up a stool at the bar, grab a booth or enjoy the evening in the beer garden, just make sure you come by Romans' Pub and experience the best beer selection in Milwaukee! Check out what people are saying about Romans' Pub!